The Newton area real estate market has had some softness for the past six months. Many homeowners have had difficulty selling their homes for the price they want. ?There are many things home owners can do to boost the final selling price $5,000 to $8,000 and more above the average sale price,? according to Gary Franz, a real estate specialist based in Newton. ?Most home owners feel they?re at the mercy of the market. If the market falls, so does the value of their home. This simply is not true.? 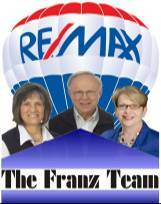 According to Franz, there are several easy things home owners can do to substantially boost selling prices. For example, there are many ways home owners can ?dress? their home?s exterior so it gives a more appealing first impression. ?As people walk up to your front door, they?re getting their first impressions. You want to be sure your lawn, walkway, and home?s exterior looks as good as possible.? Franz says, ?With the recently approved new home buyer?s incentive we are seeing the inventory of pre-owned homes increase?do all you can to make your home standout! ?